It was located on Vasilievsky Island in the estate of Prince A.D. ​​Menshikov (architect - G.Shedel). It was found in 1732 as a higher educational institution. Since the 1740s student performances began to be arranged. The French tragedies ("Zaire" by Voltaire) were set on the stage of the theater, as well as the tragedies of A.P. Sumarokov ("Sinav and Truvor", "Artiston", "Semira", "Khorev"), which were created under his guidance. In 1752, according to the decree of Elizabeth, Yaroslavl comedians of the F.G. Volkov troupe were sent to study to the Corps. It was rebuilt from a wooden arena in 1770 for English comedians. In 1775, the theater was rented by the German merchant K. Knipper for his troupe. In 1779 Knipper formed here also the Free Russian Theater. In 1783 the theater was bought into the treasury and named Maly. It was demolished in one night in November 1796 according the orders of Paul I. Truly saying, they were preparing for that a whole month. It was built in 1777-89. A. Rinaldi on the Carousel site, which then became the Theater Square. The first public theater in St. Petersburg. It was opened for a visit in 1783. Stone it was called until the beginning of the XIX century. It was rebuilt in 1802, 1818, 1838, and, finally, in 1892 it was broken. On its place in 1896 the building of the Conservatory was built. At the Bolshoi Theater there were performances of Russian and Italian operas, as well as Russian, French, German dramatic performances. The auditorium of the Bolshoi Theater. S. Galaktionov's engraving according to P. Savigny's drawing. 1820-ies. Quay of the Neva at the Hermitage Theater. The architect J. Quarenghi. From the engraving of I. Ivanov according to the drawing by V. Sadovnikov. 1830. It was built according to the decree of Catherine II dated September 23, 1783, within the walls of the Leip-Campanian Corps. The facade appeared only in 1792. The theater was intended "for private household use of the imperial family and the court". The comic opera "Miller - sorcerer, deceiver and matchmaker" was officially opened on the November 25, 1785. Performances there were given by all state imperial troupes. The hall was created according the image of the ancient (Pompeian) amphitheater. The favorite creation of J. Quarenghi. The hall has a unique acoustics and an excellent view from any place. It was at the location of ​​the present Catherine's garden. 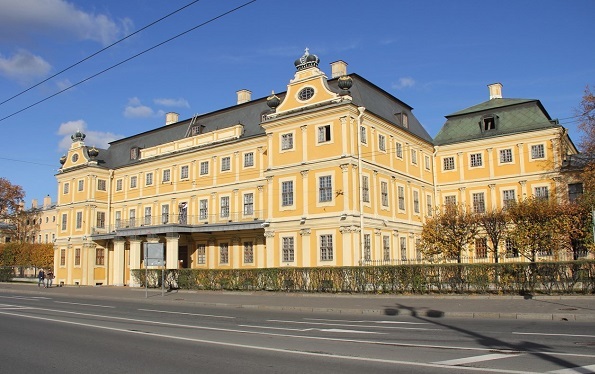 In 1803 it was rebuilt from the pavilion Anichkov Palace by V. Brenna. The theater was official. 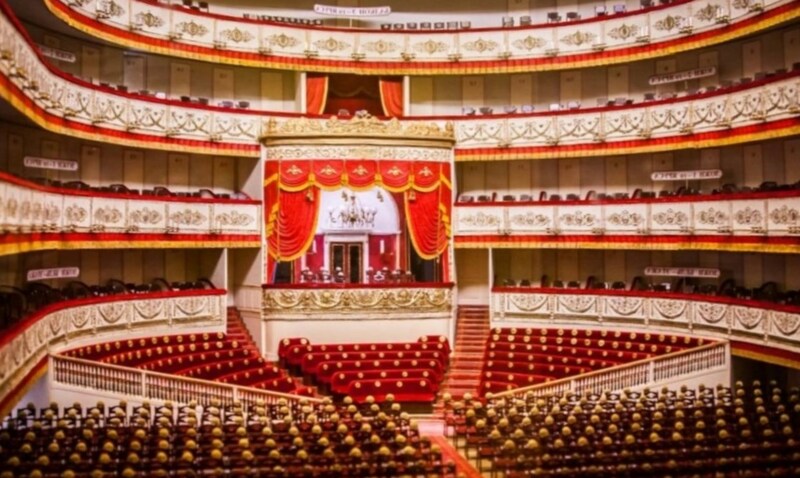 It was rented by the Italian opera company A. Casassi. When in 1811 the Great Stone Theater burnt down, the wooden Small became almost the only theater where a Petersburger could go. 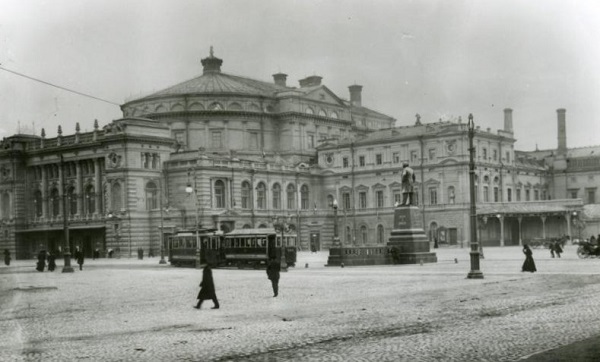 In 1828, K. Rossi began the construction of the Alexandrinsky Theater and the Maly was demolished. It was built in 1827 by S.L. Shustov. The peculiarity of the building was that its rear wall could be moved apart and the performance went against the backdrop of a natural landscape. In 1844, the building was rebuilt by A.K. Kavos, and in 1932 by E.I. Katonin. The building is still wooden and still stands. From 1966 to the early 1990s, the Television Theater was located here. The Alexandrinsky Theater. F. Chevalier's lithograph. 1830-ies. The Alexandrinsky Theater was built in 1832 according to the project of architect K. Rossi. It was designed for viewers of all ranks - from the emperor to the lowest estates. It was named Alexandrinsky in honor of Nicholas’s I wife - Alexandra Feodorovna. It was the first theater with a permanent troupe. It was opened with a drama performance of the Russian troupe on the tragedy of M.V. Kryukovsky "Pozharsky." After the final division of the Russian troupe into opera and drama in 1836, the Alexandrinsky stage was dedicated to drama. V.A. Karatygin, A.M. Karatygina-Kolosova, Y.G. Bryanskii, M.I. Valberkhova, N.O. Dyur, V.N. Asenkova, I.I. Sosnitsky, A.S. Martynov, V.V. Samoilov, M.G. Savina, P.A. Strepetova, K.A. Varlamov, V.N. Davydov, and others played there. It was opened in 1833 as the second imperial theater with its own permanent troupe. However, three were three troupes - Russian, French and German. The building was built by A. Bryullov, the facades were designed by K. Rossi. The building was located on the Theater Square. It was rebuilt in 1849 from wooden to stone. The arena was combined with the stage. Circus, theatrical, opera performances were given there. The so-called pantomimes - dramatic plays with the participation of circus artists were popular. In 1856, the premiere of the "Mermaid" Dargomyzhsky was held here. In 1859 the Circus Theater burned down. In 1860, the Mariinsky Theater appeared in its place (architect A. Kavos). It was opened in 1860 and rebuilt by A. Cavos from the building of the burned Circus Theater (in fact, rebuilt anew), standing on that place. 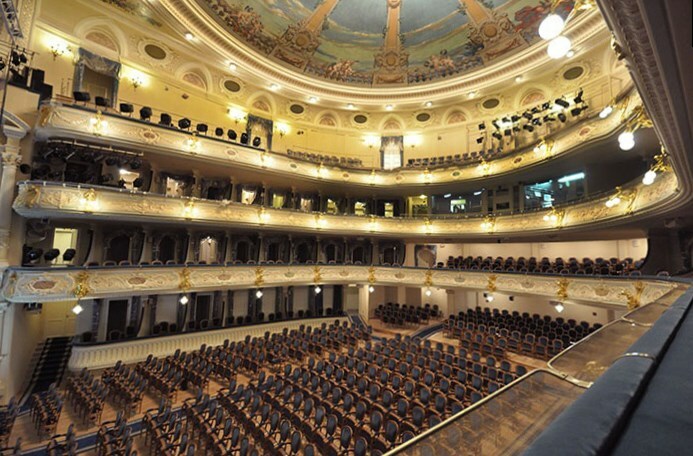 It became the third Imperial Theater with a permanent troupe (Russian opera). It was named Mariinsky after the Empress Maria Feodorovna. In 1883-96 the theatre was reconstructed by arch. V. Schroter. It was built in 1877 by V. Kennel. It was directly relevant to the theater. In 1911, on the arena of the circus, Sophocles' tragedy "Tsar Oedipus" was staged by M. Reinhardt. There were performed pantomimes (the union of the theater and circus). In 1918, Y. Yuryev produced the "Oedipus King". Grand pantomimes were staged in Soviet times (among directors were N. Foregger, S. Radlov, among the authors - N. Erdman, V. Ardov), they are produced now, but much less often.